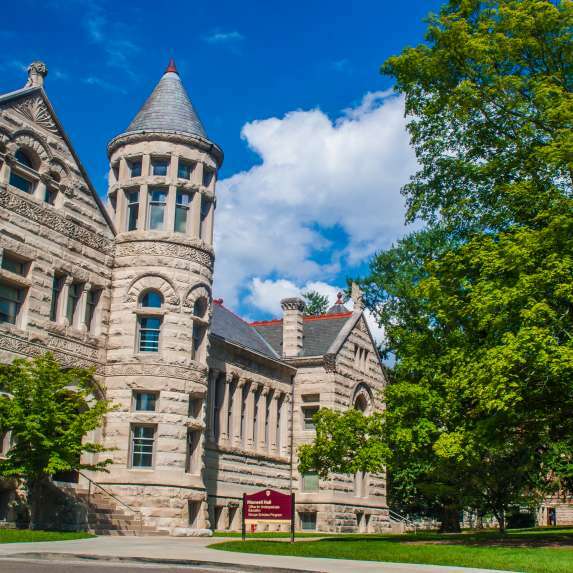 Founded in 1820 (just two years after Bloomington and Monroe County) Indiana University is at the foundation of this community, as solid a base as the limestone that runs underground. 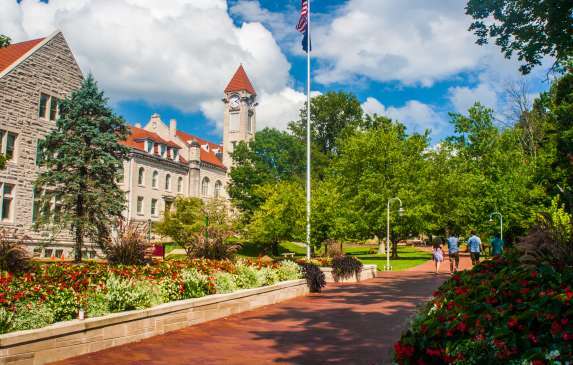 There would not be a Bloomington without IU, and IU wouldn’t be the same if it were located anywhere else. This amazing university brings in over 40,000 students each year, nearly doubling the city population. 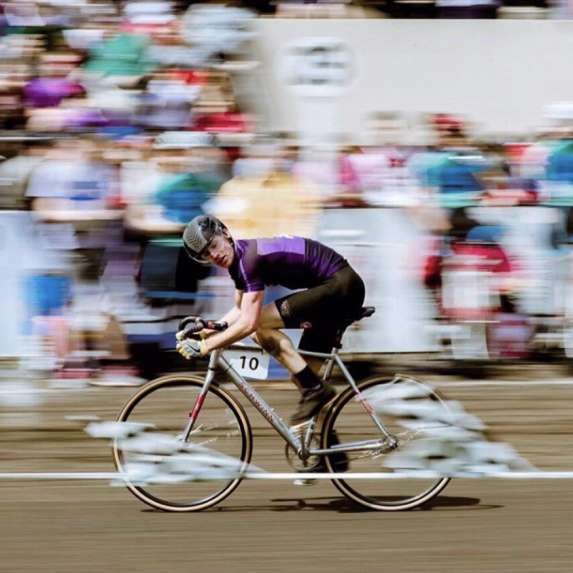 That provides an endless supply of energy and vitality to the community, with new ideas and fresh dreams. That youthfulness overflows into the downtown area, where students mingle with residents at the various nightlife venues. The diversity of interests, ages, and nationalities impacts all aspects of the community, from the international restaurants to the annual festivals. 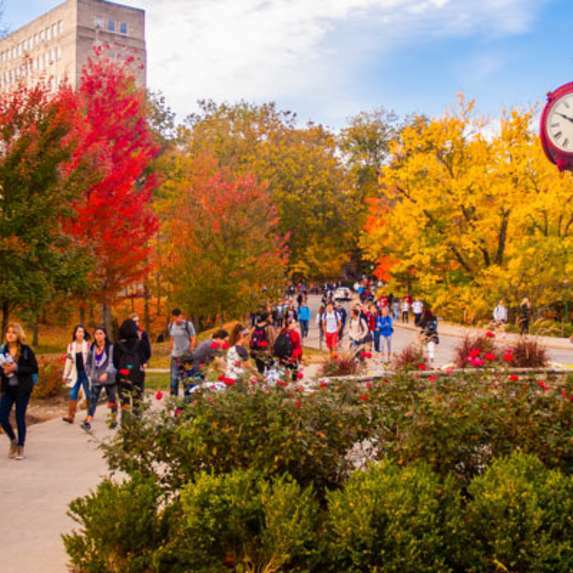 The beauty of the campus is breathtaking, often cited as one of the most beautiful in the country. The dense woods on campus mimic the nature preserves surrounding the city. The limestone buildings on campus and the stone outcroppings throughout the region provide a connection to the local history and industry. The art and artifacts found inside the buildings provide inspiration and knowledge to students and visitors alike. 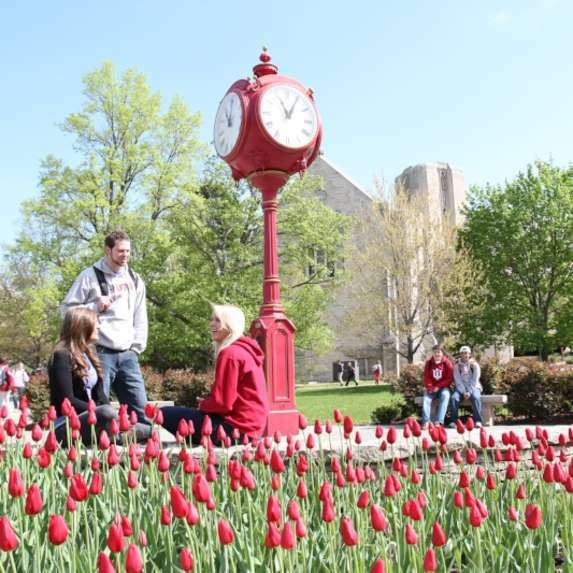 Find your inspiration, be it ancient art, great architecture, or thrilling athletics, on the IU campus. There are a lot of new experiences to be had when visiting the IU campus. 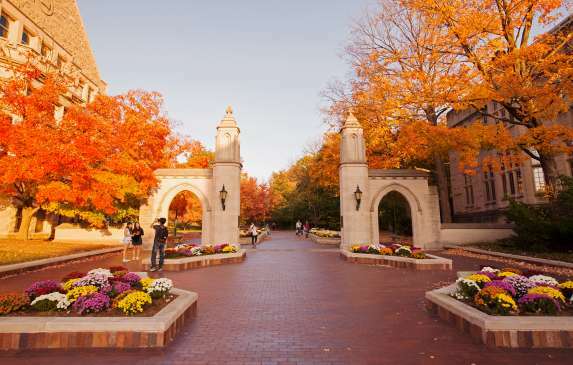 Indiana University is consistently ranked one of the most beautiful college campuses in the country. Welcome to Bloomington and Indiana University! 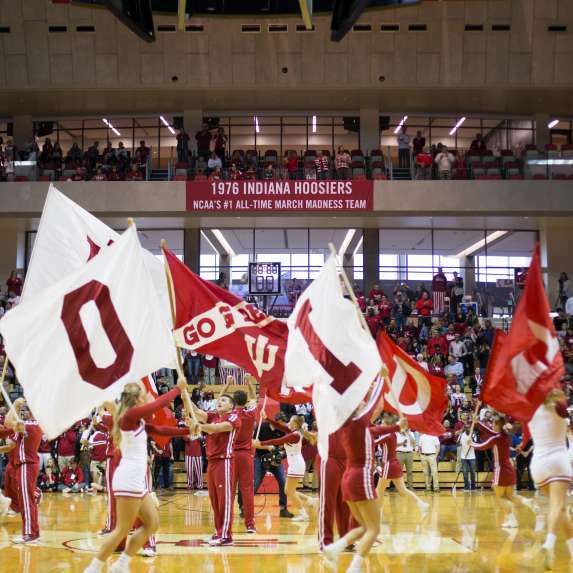 IU has won 24 NCAA National Championships and nearly 150 Big Ten Conference team and individual titles. 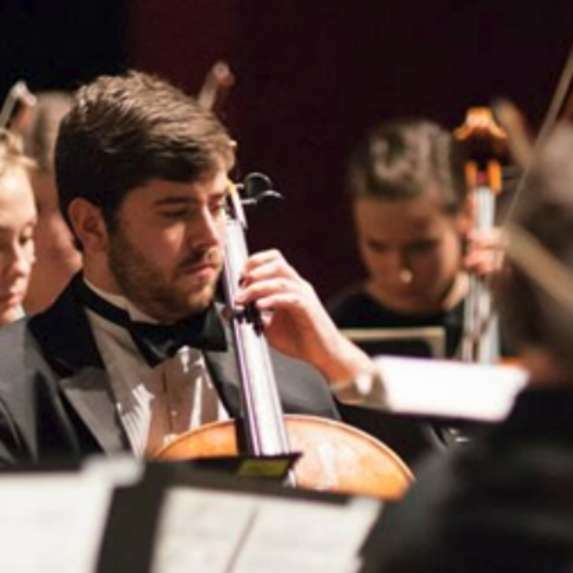 IU is the home of world-renowned music and theatre departments, hosting over a thousand performances each year. 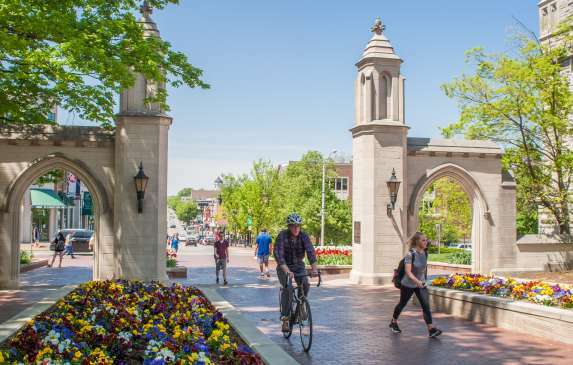 Visitors are always welcome on the Indiana University Bloomington campus. 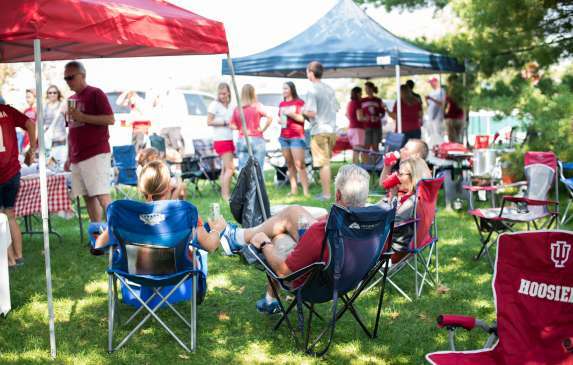 How long has it been since you cheered for the Hoosiers at a game? Or admired the flowers on campus? Congratulations to all the graduates of Indiana University!